We work with charitable trusts and family foundations that focus on significant challenges faced in urban water and sanitation. Comic Relief has partnered with WSUP to help achieve its goal of a more secure, well-planned and healthy Lusaka, where empowered communities in urban settlements have improved livelihoods and increased fulfilment of their basic rights to equitable and quality services. Dubai Cares began supporting WSUP in 2017, working in Antananarivo and Mahajanga in Madagascar on a project aimed at improving access to safe water, sanitation and hygiene (WASH) in schools. Halcrow Foundation began supporting WSUP in 2017, working in the capital city of Madagascar, Antananarivo, on a project to increase access to safe water and basic sanitation for people living in low-income areas, whilst also improving hygiene behaviour. Read more about our partnership with the Halcrow Foundation. Kenya Markets Trust (KMT) is supporting WSUP by helping to transform the Kenyan water sector by systematically addressing key constraints hindering access to quality, reliable and affordable water services. Find out more about our partnership with KMT. The Skoll Foundation awarded WSUP a prestigious Skoll Award for Social Entrepreneurship in 2013 along with a grant of $1.25 million. In 2017, following a rigorous due diligence process, WSUP received a $2 million investment to expand our SWEEP programme. 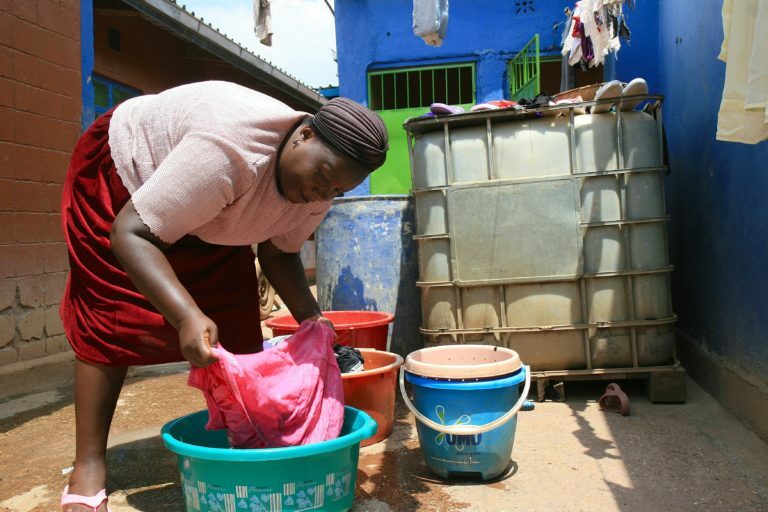 Improved water and sanitation services, along with improved hygiene practices, have a close connection to many other development challenges, such as health, gender equity, employment, inequality and children’s well-being. We work closely with trusts and foundations to identify how best to align their aims and objectives with our mission and goals, ensuring they are involved throughout. At the heart of many of these partnerships is a commitment to sharing and disseminating knowledge gained during the projects for replication and scale-up by the sector at a national and international level. In addition, our trust and foundation partners are invited to WSUP’s regular series of events, which aim to share learning and stimulate discussion in the sector. WSUP was given the Skoll Award for Social Entrepreneurship in 2014 for its unique approach to developing services for the poorest customers in cities in Africa and Asia. Three years on, we are encouraged that WSUP is continuing to scale its work. Taking its model to new cities and countries, WSUP has adapted its approach to local circumstances to further improve water and sanitation services in urban markets.